Each of these Canadian communities has a special spark. Many of you may find yourselves drawn in by their distinctive character. Whether it’s a perfect muse’s stomping ground, the latest congregation of tech wizards, or the new benchmark for cultural diversity, each of these neighbourhoods is an exciting glimpse into possible futures and a haven for the unusual and the unconventional. The artist, the revolutionary, the philosopher, the pansexual pagan, and the eco-conscious coffee connoisseur all find self-affirming meaning in this one word: progressive. According to Point2 Homes, these are places which embrace eclectic people and are shaped by intrepid minds. Which will make you feel like you belong? Read on to find out! Gottingen Street and Agricola Street are the two arteries of this fascinating place, teeming with eateries, studios, and shops, not to mention the colorful crowd of students living in the borough. But it hasn’t been very long since Halifax’s North-End neighbourhood has blossomed into the new hip area of town, and the transformation is perhaps more obvious here than in many of the other entries on our list. The North-End has historically been an area with a very strong African-Nova Scotian presence, and the influx of other races has led to a new wave of potential cultural diversity that’s sadly facing deep-rooted problems. A favoured spot for young families looking to blend urban vivacity and good old-fashioned community spirit, The North End acts almost like a social sciences laboratory focused on fighting issues of systemic racism and promoting social and cultural inclusion. Social justice warriors take note: this is your new battleground! The Plateau Mont-Royal is the most densely populated neighbourhood in Canada, with over 100,000 inhabitants in an area that amounts to roughly 8 square kilometers. 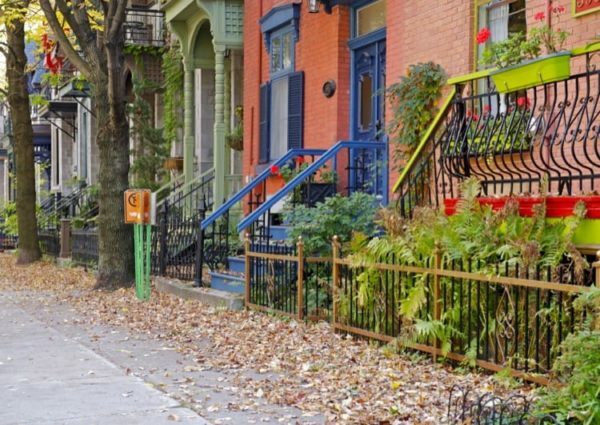 Taking into account the fact that Montreal is a multilingual metropolis, it’s no wonder that The Plateau is one of the most culturally diverse and vibrant boroughs in Canada. The Boulevard Saint-Laurant and Rue Saint-Denis are crammed with outdoor cafés, restaurants, and art galleries in brick row houses filled with character. The Plateau is definitely a young neighbourhood, as the average age of the inhabitants hovers between 25 and 34. This youthfulness can be felt in the colourful streets, the laid back attitude in the air, and the numerous buskers, graffiti artists, and street-level cultural events happening year-round. If you’re fascinated by cultural melting pots or you have a soft spot for urban anthropology, The Plateau is the place to be. If you’re a patient free-thinker with a moderate streak and a love for the finer things in life, take a close look at ByWard. An artist-friendly borough such as this is almost to be expected in a stable and affordable city like Ottawa. What’s more surprising is the uncanny blend of history on the ByWard streets, and the forward-thinking mindset of the inhabitants. A unique “marketplace” atmosphere seems to permeate the entire area, peppered as it is with small cobbled courtyards and pedestrian walkways. No doubt, the ByWard Market is a hip neighbourhood, constantly reinventing itself and making room for extremes to coexist. Thrifty and chic, sophisticated and artless, affordable and priceless, it definitely is one of a kind. 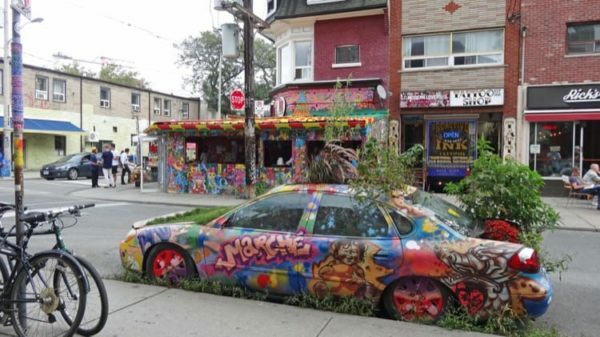 Markets spell diversity and colour, sometimes enough of it to overtake the surrounding area altogether; Toronto’s Kensington Market is one such place. Sure, it may be a little rough around the edges, but all great communities are built around small imperfections and challenges. Kensington Market is a legend of such development, having provided a home for diverse and often conflicting waves of people of all creeds and colours since the early 1800s. It narrowly escaped being “restructured” in the sixties, and thus retains a strong historic character. In fact, it has been proclaimed a National Historic Site of Canada in 2006. If progress comes from turmoil, then Kensington Market is a bona fide whirlpool! Anchored around fresh vegetable and fish markets, the borough is teaming with thespians, troubled teens, and trendsetters. Are you an angry artist with an axe to grind against injustice and complacency? You more than likely to find like-minded people in Kensington Market. 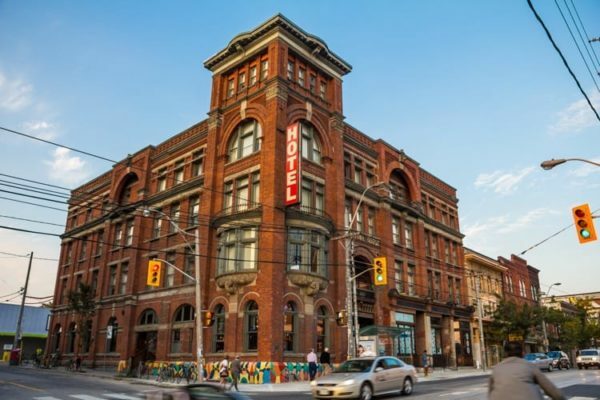 Change is woven into the very nature of being progressive; the endless search for challenge and improvement urges on, the second things become “too comfortable.” This is what’s happening with Old Toronto’s Queen West, the former “hip” neighbourhood. After waves of gentrification and a capitalistic boom, the progressive crowd is beginning to move on to greener, more affordable, and more fluid pastures, namely Parkdale. It’s still quiet here—there’s peace to be found among the murmur of vegetation in the small parks peppering the neighbourhood. Restful, green, and carrying a rural air, Parkdale might soon become an example for a harmonious urban environment. Staying in tune with nature, allowing the rustle of leaves to take precedence over the roar of engines is an ideal being upheld here. It’s no wonder it’s so attractive to nature-conscious folks. It’s impossible to separate art and progress nowadays. (In fact, most would say contemporary artists are so forward-thinking that it will take years for the rest of us to catch up, but critique is not what we do!) However, we observe the bleeding edge in terms of urban development, and Osborne Village is definitely showing up clearly on our radar. The birthplace of Winnipeg’s first artist collective, Osborne Village marries love of artistic expression with respect for nature and fellow man. Dance, music, and visual arts permeate the streets here. The free-spirited and effervescent community in this borough has already left its mark on Winnipeg’s cultural landscape. If you feel art is your calling, Osborne Village is the borough for you! In spite of the coincidence, Calgary’s Kensington is quite different from its Toronto namesake. A recent hotspot for new businesses, Kensington has only recently seen real estate revival, even though it’s located in the heart of Calgary. This freshness is all the more apparent as the young and diverse residing community is surrounding itself with independent shops, ethnic restaurants, and rowdy pubs. With events such as the Christmas in Kensington Village, the Sun and Salsa Festival and the Bizarre Bikes & Bazaar, Kensington is quickly establishing itself as a unique and vibrant spot for alternative culture. If you’re passionate about your work and feel like you can revolutionize things from within, this is the place for you. Starbucks got the cold shoulder in this neighbourhood, welcomed with a “DIE YUPPIE SCUM” graffiti over the front. That should tell you all you need to know about the inhabitants’ left-leaning beliefs. Known as a radical’s retreat, the paradoxically named Commercial Drive is a haven for alternative lifestyles and fierce reformist thinkers, cutting straight through the middle of Vancouver’s Grandville-Woodland area. Multi-ethnic, sexually liberated, free-thinking to its very core, Commercial Drive takes the cake as Vancouver’s most progressive neighbourhood. Few others, even on this list, can aspire to its level of verve and vibrancy. Definitely not for the meek and moderate! While other such communities tend to localize in an ever-changing grey area between city-centre and periphery, the progressive crowd in Victoria is strongly associated with downtown. Part of Victoria’s Old Town has become its most forward-facing district, embraced by young, well-educated, and green-aware residents. Behind the beautiful veneer of oyster bars, artisan breweries, antique shops, and bookstores, there’s an ever-present pulse of intellectual challenge being issued. While some of the other neighbourhoods on our list tend to embody social or artistic change, Downtown Victoria buzzes with the deep hum of a profoundly liberal attitude. An introverted deep thinker’s haven, through-and-through! Does your idea of progressive fit our selection? Did we miss a scoop on the hippest haunt in town? Let us know in the comments below!